An injury doesn't just impact the person who is injured - it also hurts those who are close to the injured party. If you have been hurt in an accident, it's important to understand how this might affect your family's future. Not only will you have to deal with financial issues, but the very way in which you interact with your family may be irrevocably altered. Being involved in any kind of accident isn't something that just goes away. If you are severely injured, you'll quickly start to see the bills pile up. Remember, life doesn't just stop because you've been injured - and hospitals, despite their ability to be reasoned with, won't hold off from charging you forever. Time will be one of the biggest factors when it comes to determining the real cost of your injury, and the price you pay will not simply be determined by your hospital bills. An injury can also cause you to miss time at work. For those that work for an hourly wage and that do not get paid time off, this will mean that the bills can start piling up almost immediately. While you may have a bit of a savings account now, it can be quickly depleted when you are unable to work. As bills start to go unpaid, late fees will increase and you'll find that your family's comfortable nest egg will be gone. Your family's financial future can be put in danger from even a seemingly minor injury. Of course, not all costs are purely financial. When you look at your family's future, you might have a certain idea of how things should go. You might see yourself getting promoted, romantic trips with your spouse, perhaps even your children graduating from college. One injury, though, can put all of that at risk. When you are injured, your life comes to a halt - and your future will necessary change. You might lose the ability to provide for your family and your family will have to alter the way they live their lives. Beyond that, though, there's the real possibility that you won't be able to interact with your family in the way you once cherished. Your ability to dance with your daughter at her wedding, to stand up and shake your son's hand, to take a long walk on the beach with your spouse - those can all be put at risk depending on the severity of your injury. Even if your retain your mobility, you can suffer from crippling injuries that are harder to see. An injury can remove the possibility of living a normal life for both you and for your family. Your family's future can be impacted by injuries in both a financial and personal sense. It's up to you to make sure that you're able to provide for them, though, and you'll need professional help you can find when you click here. 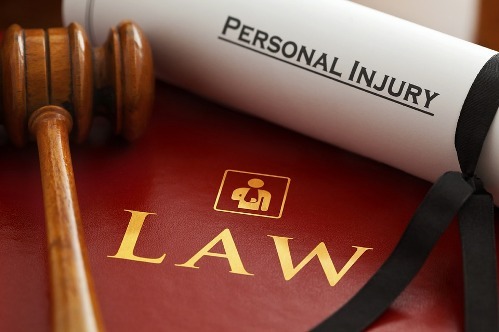 If you have been injured, make sure to work with lawyers who specialize in personal injury suits. To learn more, click here.